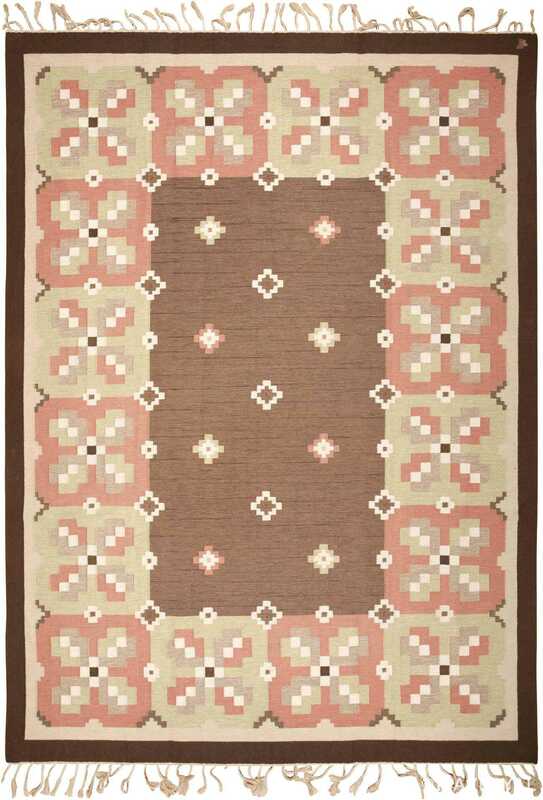 Large Size Vintage Scandinavian Rug, Country of Origin: Sweden / Scandinavia, Circa Date: Mid-20th century – Here is a fetching vintage rug – a mid-century Scandinavian piece, woven in Sweden with all of the hallmarks of an expertly designed and crafted modern flat-weave. 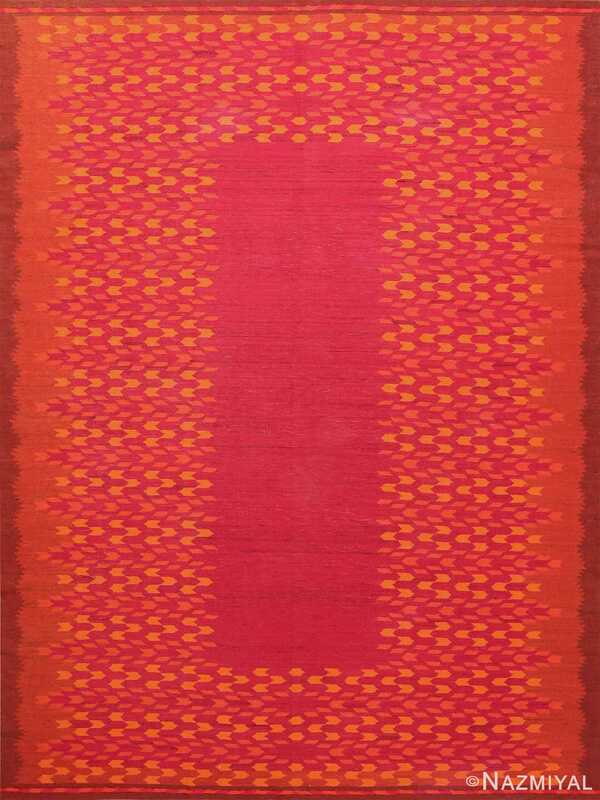 This Swedish rug is characterized by a vibrant color pallet, consisting of shades of red and fold. 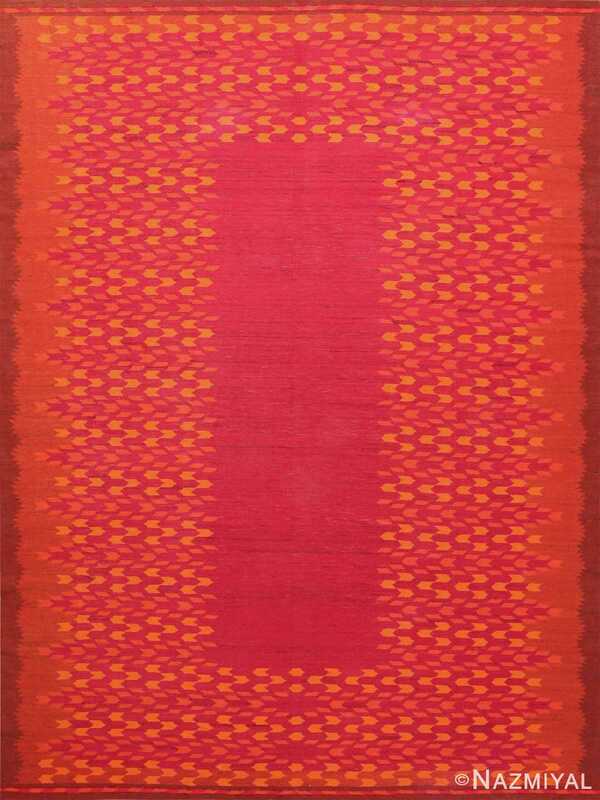 Indeed, viewed as a whole, the composition of this piece is reminiscent of a dance, with the varying tones of red seamlessly transitioning from one to the next, with shades of gold aiding along the process. 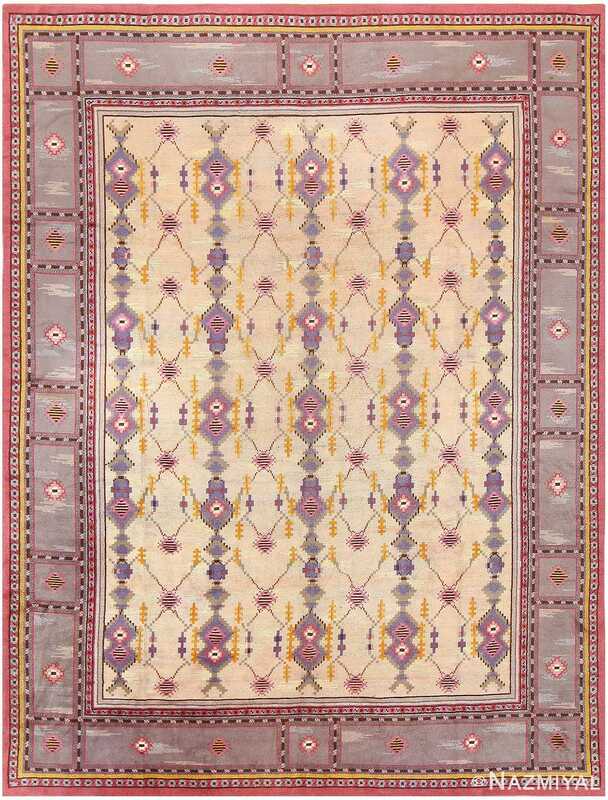 The deep maroon tone of the field is especially striking, its tonalities creating the impression of depth. 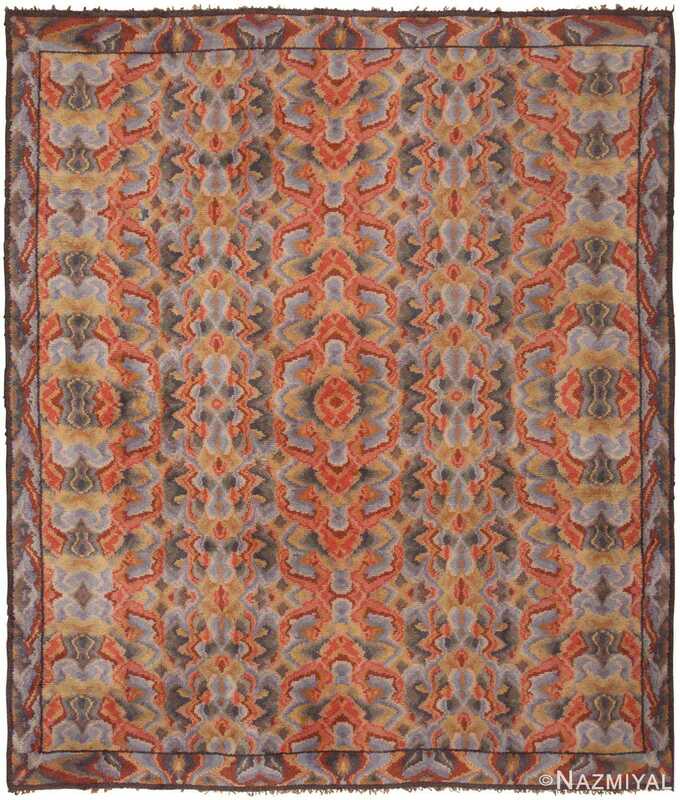 This Scandinavian flat-weave has an almost hypnotic quality, with its elaborate color play belying the overall simplicity of the composition. That such a minimally adorned pice can simultaneously communicate such an array of impressions and ideas is a testament to the enduring power of modern design.